Taurus presents the large frame X2 scorpion revolver grip. 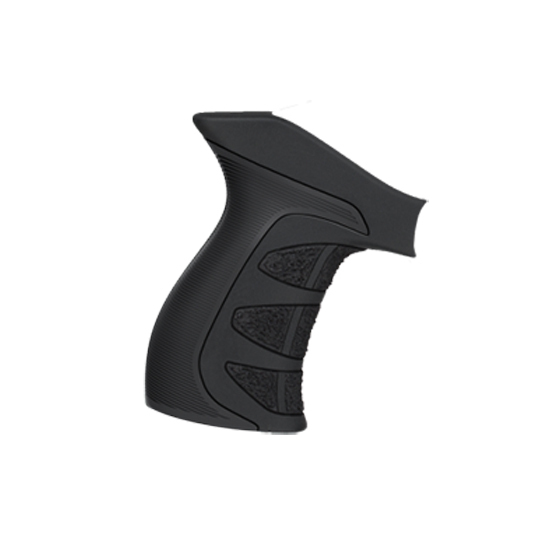 This grip is an engineered Scorpion Pistol Grip, with extended scorpion material to reduce recoil and discomfort to the shooters hand and thumb. The Sure-Grip V2 Texture gives the shooter an extremely secure hold, which the grip features specific contoured geometry for repeatable hand placement. The Scorpion Revolver grip is engineered to fit the Shooters Hand to Provide Outstanding Balance, while adding no length to hinder concealment, as well as designed to Elevate the Index Finger for the Ideal Finger Placement on the Trigger. - Fits: Taurus Model 17 Tracker 17, Model 992 Tracker 22, Model 627 Tracker 357, Model 405, Model 45-410 The Judge. - Due to the manufacturing variances of the revolver, modifications to the fastener opening may be necessary.